As you can see, it’s not a question of whether you need to get reviews for brand-new listings; it’s a question of HOW to get them and how many! In my experience, even 2 or 3 reviews can dramatically increase your conversion rates (and Amazon data proves that with the 3.5 multiplier), so that should be the minimum you’re aiming for. If you can get 5 to 10 reviews, that is obviously even better, but you have to start somewhere! If you can get your first five reviews in place, your subsequent customers will actually be more likely to also leave reviews. Focus on getting those first few reviews in place and the rest will come in time. The most common strategy for this is to ask friends or family members to buy a product from your listing and leave a review. Please be careful; you don’t want to overdo this! You need to keep an organic “sales to reviews” ratio to avoid Amazon taking those reviews down. 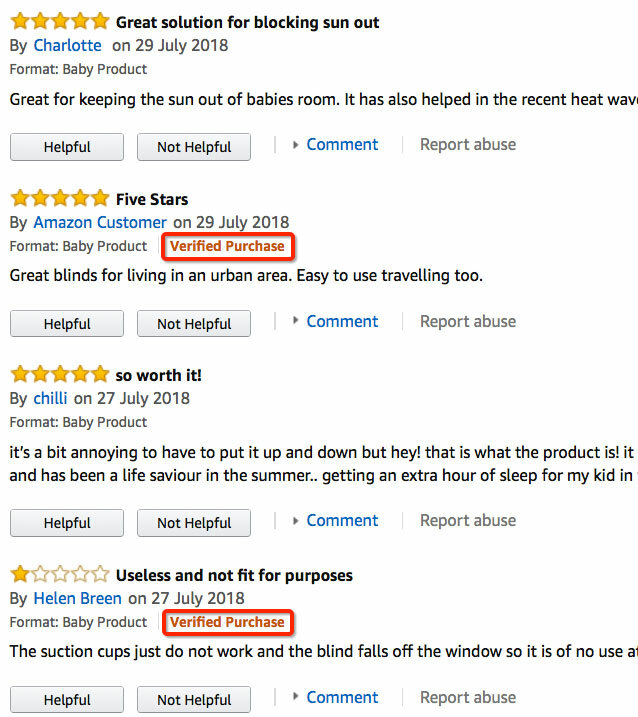 It would look very suspicious to Amazon’s algorithm if you got three reviews from your first three sales because that’s not something that normally happens. A much better approach would be to spread out reviews by leaving 1 review for every 10 sales you make. Ask a friend to make a purchase and leave review AFTER the product has been received. Then, wait for 10 or so organic sales to come in or spend some money on Sponsored Products to speed up the process. When you’ve made those sales, ask another friend to repeat the process: buy an item and leave a review. To stay off Amazon’s radar, you should do this no more than 2-3 times, but you don’t even need to get more than 2-3 reviews this way anyway. It goes without saying that this strategy is “grey hat” and technically against Amazon’s rules, but it is very hard for them to police it and almost everyone does it anyway. Plus, Amazon only says that we can’t use FAMILY members for such reviews—they don’t say anything about work colleagues or friends (family can be easily flagged through a delivery address or IP address but it’s too complicated to connect you and an old friend living hundreds of miles away or even a distant cousin you haven’t seen in six years!). IMPORTANT!!! What you absolutely SHOULD NOT do is buy reviews on places like Facebook groups, Fiverr.com and other similar places. 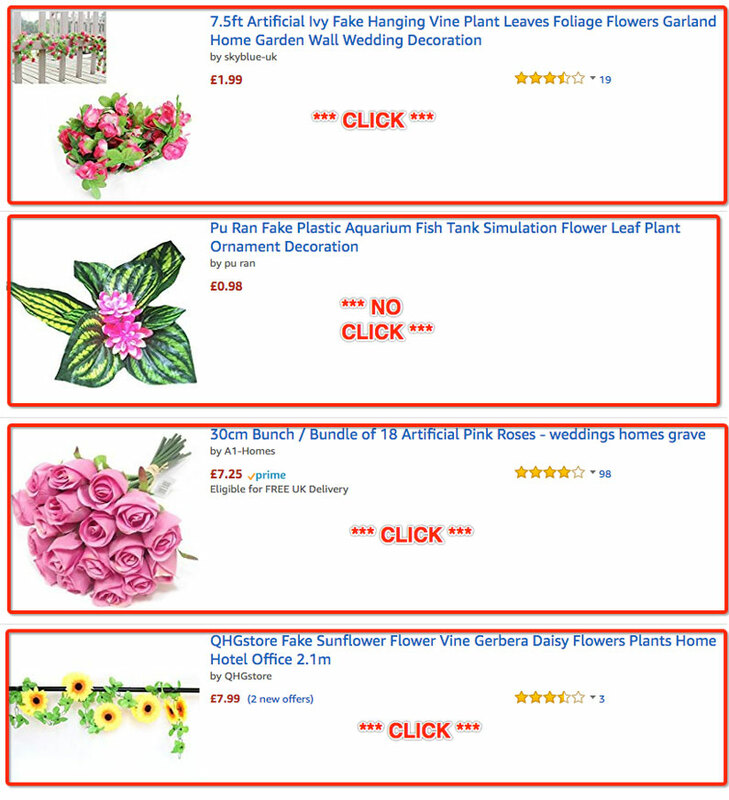 This is TOTALLY against Amazon’s rules and will get you into trouble. By trouble, I mean Amazon will delete those reviews, but they likely won’t ban you (if they did bans, we could use this strategy to get rid of all our competitors by doing same thing for them), but it’s better to not risk it or waste your money. Also, DO NOT publicly offer your product for free or for a discount in exchange for a product review. This is also prohibited and something that can do more harm than good. Play it safe, stay off Amazon’s radar, and do not ask for trouble. There’s an even simpler method for quickly gathering 2 to 3 product reviews via the UNVERIFIED review method. What do I mean by that? Vine reviews – reviews left by VINE program members (invitation only). Unverified reviews simply mean that someone leaves a product review on Amazon without actually buying it. Yes, these unverified reviews are not as powerful as verified purchase reviews when it comes to rankings, but they will still help a brand-new listing to stand out in search results, attract higher click-through rates from search, and will help drive sales. If you have friends or work colleagues who don’t want to buy the item, you could ask them to just leave the review. If you can get 2-3 people to do that, awesome! Even if you get just one unverified review in place, that’s better than nothing, right? This is a relatively new program. 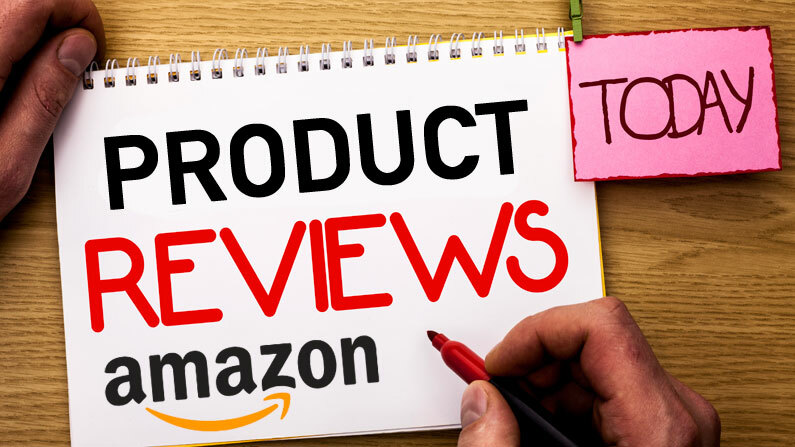 It was launched in 2018 and instantly became the quickest way to get your first five reviews for brand-new Amazon listings. As I already mentioned, Amazon says that even ONE review can increase sales by 3.5 times, so this is a powerful business opportunity for them too. They want to help brand-new listings get those sales in (that’s more sales for them too), so they came up with this Early Reviewer Program. Amazon sends out emails to people who have purchased your product and asks them to leave a review. If they leave a review, they send them a small Thank You gift (usually an Amazon gift card worth $1-$3). These people don’t know that they will receive a gift card after leaving the review (it’s not guaranteed and not promoted in the email). Amazon does not send these emails to all customers; it’s a random, algorithm-generated process designed to create a natural selection of your customers. So, in theory, these are just normal reviews, from normal Amazon customers, and they should pretty much reflect the average reviews you would get naturally to your listing over time. Firstly, at the moment, this program is only available in the US for the Amazon.com website. Secondly, it is only applicable to listings with less than five reviews. So, if your listing has more than that, you won’t be able to buy an additional five reviews. Lastly, Amazon itself says that items must be priced higher than $15 to enroll in the program, but I personally enrolled my items when they were priced at $12.99, so I’m not sure if they have changed or introduced this rule recently. It’s possible that they’re still testing it. The price for each SKU you enroll is $60, and this gets charged once your FIRST review is left. So even if you don’t receive all five reviews, Amazon will still charge you the full $60 for this service. They probably do this because they can’t guarantee how many sales you will get, when you will get them, etc. The simplest option is to charge you when the first review comes in via the Early Reviewer Program. They won’t count or bill you for reviews you get via other methods. Each review has a unique ID that is listed in your Early Reviews Program dashboard. Also, if you continue aggregating reviews on your own and go past the five-review mark, Amazon will still continue asking for reviews via this program until you get the five reviews you paid for (so, essentially, you are paying $12 per guaranteed review, as long as you continue to make sales and Amazon can email your customers). There’s also a time limit applied here: 12 months. If your sales are so slow that Amazon can’t get five reviews during a 12-month period, the program will be stopped for that SKU, even if you did not get all five reviews. In the same place, you will be able to monitor reviews and billing as part of this process. I did try the Early Reviewer Program on five SKUs during my recent expansion to the Amazon US marketplace (that’s the FBA business I talk about in my monthly update posts) and it has worked out very well. The only small downside I have seen, but maybe it is just a coincidence, is that these reviews, score-wise, are a little bit lower compared to the organic reviews I’m getting for the same products on Amazon UK. However, it is a very small difference and maybe I just got unlucky by getting a 4-star review in the first five reviews for two of my SKUs. The Early Reviewer Program is only available on Amazon.com (the US site) right now, but I see no reason why they wouldn’t introduce this to the UK and other markets too. Essentially, all Amazon does is send out emails to your customers to ask them to leave a review! 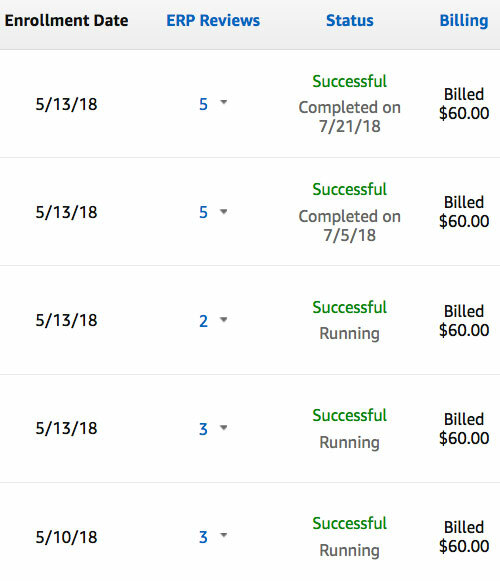 Even if they give away five gift cards worth $3 each (that’s $15 total), they still make $45 profit on each and every listing enrolled in the program. And for what? Practically nothing! They make a tidy profit from some auto-send emails! Something we did very well on our own before the new GDPR kicked in and Amazon opted-out users from receiving our messages (the majority of them). But that’s a story for a different post. All in all, I really think this Early Reviewer Program is a great way to kick start a brand-new Amazon listing, and, in my experience, paying $60 for your first five reviews is totally worth it! I wish Amazon would actually extend this offer and allow us to buy 10, 20 or more reviews (if we want) by paying the same $60 for the next five reviews and so on. 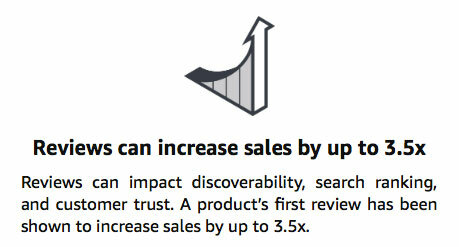 But then again, this program was created to help jumpstart new listings, not to grow the score to hundreds of reviews. The only downside right now is that the program is only available on the Amazon.com marketplace, but as soon as it is introduced on Amazon.co.uk, I will let you know via my Facebook page! If you haven’t done it already, make sure to LIKE my Facebook page to receive further notifications and weekly updates on my blog posts. Great article, very useful – I wish the Early Review Program was available here in the UK. Presumably unverified reviews will have to come from users who are signed up for Amazon, including their delivery info etc; so would Amazon flag the location (eg if it’s a friend in the same town) as being suspect, like as you’ve mentioned with verified purchases? No, I don’t think one or two reviews from the same city would be flagged. From same address – for sure. I’m new to selling on Amazon. You mention the GDPR ruling. Am I correct in thinking that you can’t send follow up emails to your Amazon customers – or was that never an option anyway? You can still send those emails (and I do it) but the problem is now that after the GDPR, majority of Amazon customers are opted-out from receiving these emails/messages. So the method is not very effective due to small delivery rate.